Once you have built even a small art collection and have displayed it where it can be seen, you may well come around to the question of what to do with it next? An art collection is not like a garden and does not require sustained maintenance in the same way. 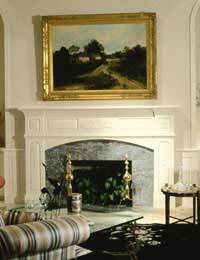 A certain amount can be achieved by moving works around or moving the furniture to accommodate the artwork. This will provide an afternoon of entertainment now and then. You can also invite friends around to look at/comment upon your art. However, a constant bragging, even when done subtly, with half a nod towards the artwork over dinner often proves slightly cringe-worthy, and friends are bound to comment upon your art collection in their own time, if they wish. This may leave you wondering precisely what it is you can actually do with your art. If this is the case, though, you probably ought not to have been art collecting in the first place! The appreciation of art is one of the rare activities in life that will offer you the most if you don’t actually do anything! The interaction between the artwork and the artist is a reciprocal one that works best if you leave the artwork 'be'. There is nothing to gain from struggling to understand or to ‘get something from’ art and this is partly its charm in a world where everything is about struggling/trying. Of course, making the right choices when buying artworks is integral to a continuing enjoyment of them. Anything that shouts, stands out, or grates with you will be hard to the live with, although this really is a matter of personal choice and clearly some people prefer horror movies to light romance! In this sense, the ongoing appreciation of your art collection will really depend upon having a sound knowledge of your own personal preferences. That said, your appreciation of particular artworks will change over time. In all likelihood, in fact, where an artwork once suggested something to you, it will one day come to suggest something entirely different. This is the organic element of a piece of art that changes over time, even though the artwork itself is generally static and unchanging. Looking at an artwork is often said to be like holding up a mirror to oneself, for this reason. The appreciation of art is in this way clearly something that unfolds over time and will alter in context as you grow/develop. Of course, a sound understanding of art history and theory will contribute to this development, though even this will be most effective in the context of your own personal tastes. Art, by its very nature is worthy of a respect not usually accorded to other objects. Avoid stashing works of art in garages or lofts, and don’t hang paintings in damp spaces. Artworks do not yield well to adverse conditions, and if you damage one they become pretty useless as artworks – they become rubbish, essentially! However, respect your work and your art collecting will provide entertainment and stimulation for many years to come.